If you’re looking for straight, beautiful teeth without bands, brackets, or wires, then Invisalign® may be the perfect solution for you. Offering Invisalign® to Stockton CA patients, Dr Louie helps you achieve a straight, and beautiful smile without traditional braces. Invisalign® is an orthodontic treatment that helps align crooked, crowded, or unevenly spaced teeth utilizing clear and discreet, removable alignment trays. 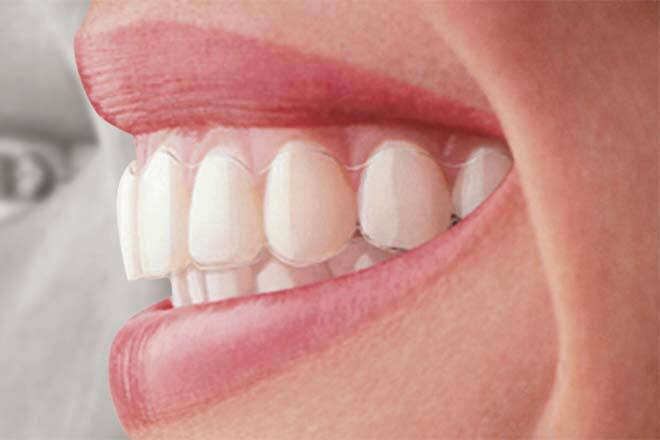 Using nearly invisible thermoplastic material to create custom molded alignment trays, Invisalign® can correct mild to moderate misalignments to help you achieve your straight and beautiful dream smile. Because Invisalign® aligners are removable, you’ll be able to eat, drink, floss, and brush like normal, helping you keep your teeth and gums healthy during your treatment.